How do I know if the designer is a good fit? What if I don’t even know what the design should look like? or What if I don’t like the results? 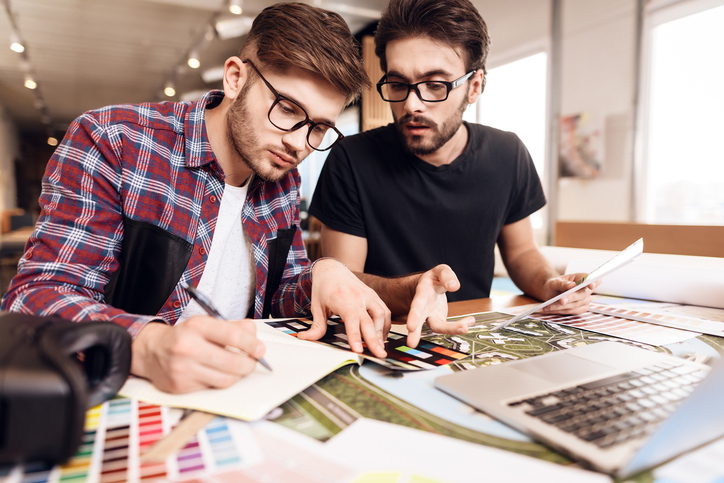 Below you will find the answers to these questions and more in a list of tips to make working with your graphic designer a seamless success. How will this design relate to my business goals? Establishing the answers to these questions ahead of time will allow you to clearly communicate the intention of your project to the designer. Determine project specifications: Before choosing a design company that is right for you, it is extremely important to have an idea of the material, design type, and overall dimensions of the project. For example, if you are considering a large banner, Ultimax Inc specializes in custom large format design and custom large format printing services. Even if you are still searching for ideas, bringing some of your design preferences to the table will allow your designer to get a sense of your tastes and style. Ultimax Inc offers custom design services, which includes a client-centered consultation to understand a customer’s design needs. Content is King: Bill Gates said it, and it’s true. Marketing these days is all about content, but when it comes to working with a designer, make sure any content you plan to include in the layout of your design is complete before your meeting. Going back to rearrange a design to fit around copy just hurts to think about. It could also add additional costs and time to a project. Show and Tell: Replacing verbal communication with visuals is a surefire way to keep you and your designer on the same page. For those who lack artistic abilities, breathe a sigh of relief because smartphones and tablets can allow you to share your ideas with your designer, and we aren’t just talking about photographs. There are many free or inexpensive design apps available to allow clients to investigate color, tone, and more. For example, the myPantone app is a popular, inexpensive designing tool for the android user. Partners in Design: If you find that you are floundering with the details of your project, but your designer easily assumes this responsibility, it’s OK to go with it. However, keep in mind that your designer is only as good as the details you provide. The best designs are created through a collaboration between the designer and the client. Revisions, Revisions: With most design projects, there will be a normal revision process. However, excessive revisions can be costly and delay the project. Providing detail and keeping the lines of communication flowing will prevent the need for excessive revisions. Too Many Cooks: Kyle Reid, StoryBrand’s Chief Design and Technology Officer, warns clients to be wary of whom they show design drafts to. Make sure you’re only seeking options from those who understand your company’s goals and target audience. Keep it real: When it comes to project completion deadlines it is important to have realistic expectations. You Gotta Love It: An unwanted finished product is a nightmare for everyone involved. However, it doesn’t have to be like this. See steps 6, 7, and 8. Repeat if necessary. Ultimax Inc aligns business strategy with custom design services to create a design that sells your product or service. From custom plastic fabrication to large format printing services, Ultimax Inc can bring your vision to life.